Robert Dawson's amazing photographs are a visual journal of the cowboy life. 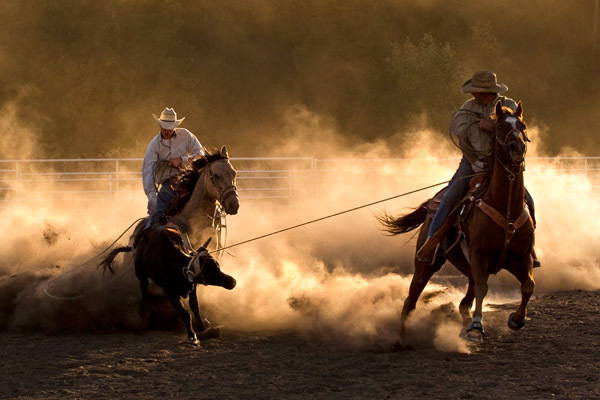 Everyday chores on a ranch are hard work and none more than roping. It takes great skill with a rope to bring down a wild calf. These two cowhands have their hands full as the dust boils around them and their excited calf tests the ropes.